Shark fishing is illegal in Israel since 42 percent of the 70 shark species in the Mediterranean Sea are in danger of extinction. 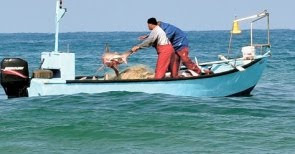 In the past three weeks, Israel Nature and Parks Authority personnel have netted three men who illegally caught sharks off Israel’s shores. In most cases the shark meat is sold to markets in the Gaza Strip, and in some cases shark fins have been found in Tel Aviv markets, where they are sold for the manufacturing of ‘alternative’ medicines.